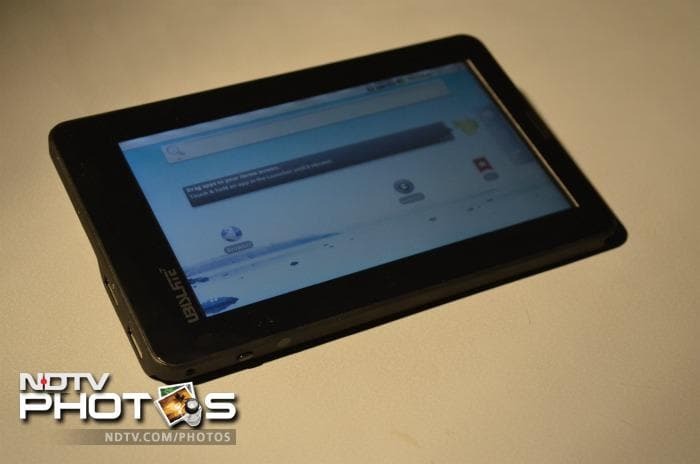 India’s $45 tablet, the Aakash, has reportedly received 300,000 pre-orders. This number is for the $60 retail version, and is larger than the size of India’s retail tablet market. The tablet accesses the internet on a $2 per month Edge connection. Following the launch of the Aakash, telecom providers in India have responded with their own low-cost offerings, ranging from $120 to $200. Read more at Aakash gets 3 lakh pre-booking orders – The Times of India. Along with helping small medium businesses in the US to go mobile, Google is also helping small medium businesses in India to build an online presence. Google India’s ‘India Get Your Business Online’ program offers free tools, training, resources, and support in creating, hosting and managing websites. The website, indiagetonline.in, also offers free customized .in domain names, hosting services and personalized email ids for a period of one year. Google is targeting to enable half a million small medium businesses in India to build websites. Another move in Google’s ‘Grow the Market to Grow’ strategy that will have far-reaching impacts! Read more at Google India Blog: Google offers free websites to Indian SMBs – Introduces ‘India Get Your Business Online’ program. Nokia has announced the launch of a new line of 3G capable smartphones. Christened Asha (‘hope’ in Hindi), the phones are aimed at emerging economies (read India). India, where Nokia currently outsells the iPhone by a ration of 1:18, represents a huge market and opportunity, with its current 866 million mobile connections and growing smartphone sales. The Asha line of phones will start at a price point of rupees 4000 (~$80). This will make internet access a possibility for millions of people in India, thus helping to bridge the digital divide. With such an aggressive pricing strategy, Nokia hopes to attract value-conscious customers and thus hit the sweet-spot between cheaper mass-market phones (where is currently dominates) and high margin smartphones. The Asha 303 has a touchscreen, a QWERTY keyboard, 3.2 mp camera and will cost ~8000 rupees. The Asha 300 (touchscreen and numeric keyboard) will cost ~6000 rupees and have a 5 mp camera . The Asha 201 (dual sim) and Asha 200 will cost around 4000 rupees. Read more at Nokia introduces Asha, new lineup of phones for emerging markets – TNW and Nokia’s Asha has potential to bring the Internet to the masses in Asia. 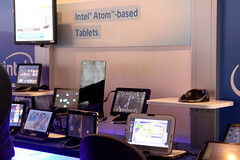 India’s $45 tablet to reduce the digital divide? Aakash (Sky), a low-cost 7 inch Android tablet with internet access, is being touted as a means to bridge the digital divide by India’s Education Ministry. The Indian government will purchase bulk quantities of the tablet for $45 each and give it free to school students for use as a learning device. This follows on the heels of the successful pilot test of the I-Slate, another low-cost education oriented tablet. Aakash, developed by a UK-based firm, will be assembled in India and will retail at $60 as the UbiSlate. With just a 3 hour battery life and low, this no-thrills tablet has a clear purpose – to bring millions online, in a fast and affordable manner. The tablet runs on Android 2.2 (Froyo) and comes with a 7-inch resistive touch screen with 800×480 resolution and weighs 350 gram. The tablet has a 256 MB of RAM, a 32 GB expandable memory slot and two USB ports. via World’s cheapest tablet launched – The Times of India.